Taught by Mycah Higley of Art By Mycah! 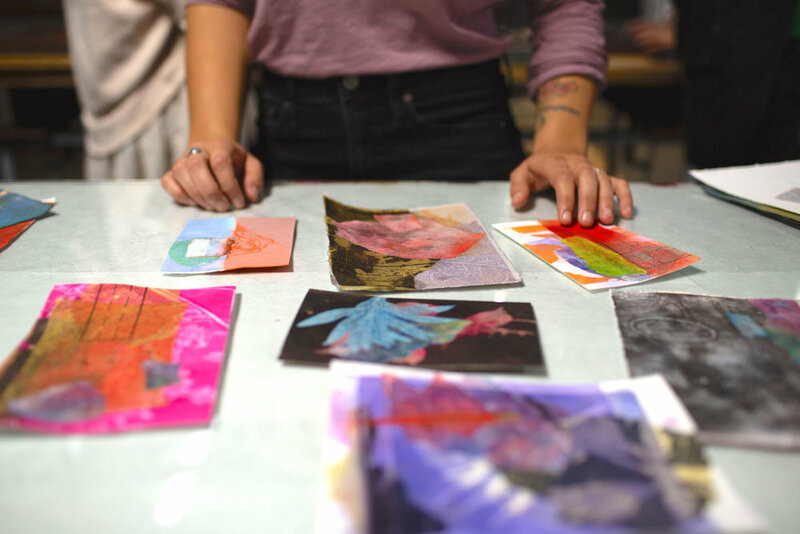 Students will learn the basics of paper dyeing, gelli-plate printing, and collage. I encourage everyone to bring any plant, paper, or cloth material to use the texture in the collage! We will layer all of these processes on multiple pieces of paper until the desired result is achieved. Students will take home at least 3-5 finished, post card sized monotypes. Mycah is an abstract artist from the OKC area. She is primarily a painter, but dabbles in printmaking and other on paper processes. Art is her means of understanding social surroundings. Check out her recent work on Instagram or Facebook @artbymycah!